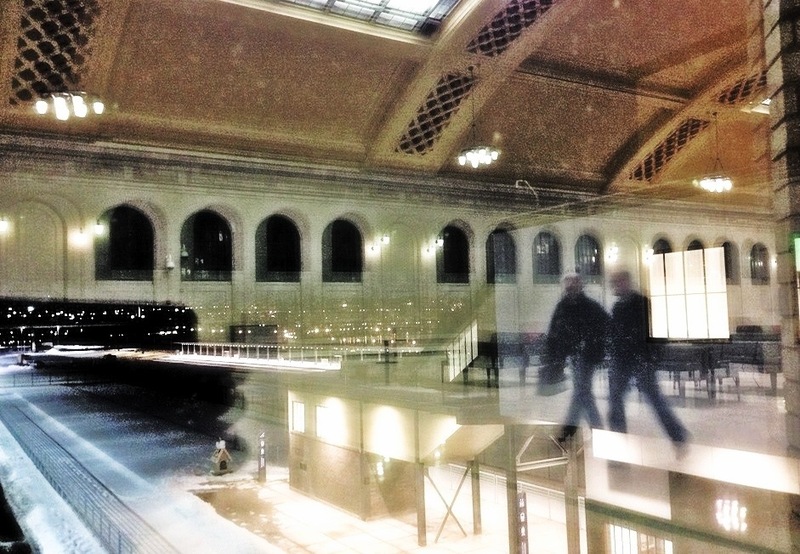 When I passed by a window in the Saint Paul Union Depot tonight, I noticed the reflection of old and new. The Depot is freshly restored to her former glory, and the architects even left this original staircase that led people to train tracks bound for war, a new home or just travel for pleasure. The reflection also reminded me of a double exposure, like I used to play with in the days of film. This is the Saint Paul Union Depot, inside and out, and day 59 of Photo 365. This entry was posted in Photography and tagged Photo 365, Saint Paul Union Depot. Bookmark the permalink. Thanks! I love the restoration work that has been done to the Depot. You can walk through and find something new every time.